An 11-year-old boy is healing after his father's friend accidentally shot him in the chest, and the child's father said the family is mending their relationship with the man. Caleb Harry is the boy who was shot in Suitland, Maryland, on Dec. 5. He had multiple strokes and had heart surgery and brain surgery. But his father, Mark Harry, said he is hopeful about his son's progress. 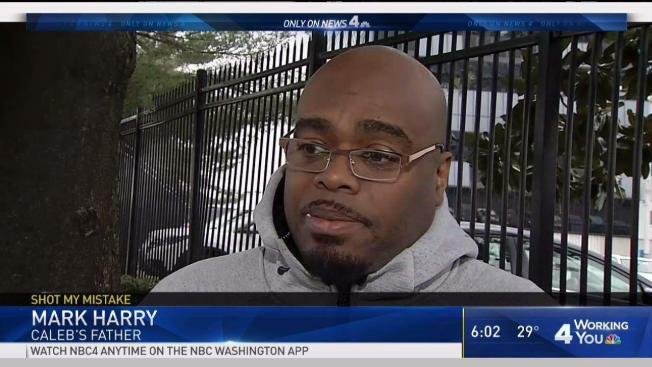 "We're going to fight to get him back where he was," Mark Harry said Friday outside Children's National Medical Center in D.C.
Mark Harry said he's maintaining close ties with his friend after the tragic accident. "I couldn't lose both a friend and my son at the same time," he said. Caleb Harry's friend was spending time with Caleb the night of Tuesday, Dec. 5 at the man's home on the 3000 block of Bellamy Way. The friend is a 33-year-old military veteran who earned a Purple Heart, Harry said. "My son and him, they do just about everything together," the father said. The man told Mark Harry he was putting away a 9 mm pistol when it fired. He rushed the child to Joint Base Andrews hospital. 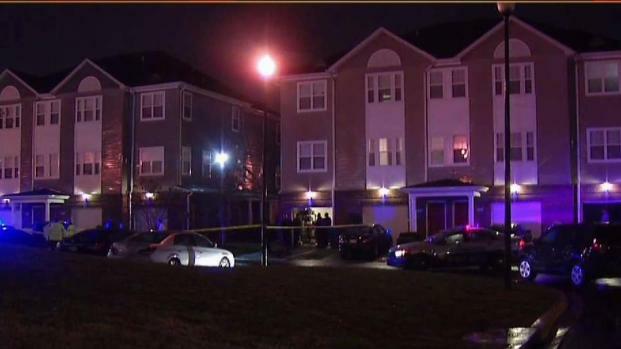 County police said officers were called to the 3000 block of Bellamy Way in Suitland, Maryland, around 6:40 p.m. They said a victim was shot in the upper body and taken to the hospital in critical condition. News4's Shomari Stone reports. Mark Harry was on a business trip in California at the time. "My good buddy, my neighbor, actually picked up the phone and said, 'Hey, man. I accidentally shot Caleb, and I'm taking him to the hospital,'" Mark Harry said. Doctors stabilized Caleb, and then he was moved to Children's National Medical Center. Police responded about 6:40 p.m. after the shooting was reported. No charges will be filed against the man. Mark Harry said Caleb and the friend will work to heal their relationship. 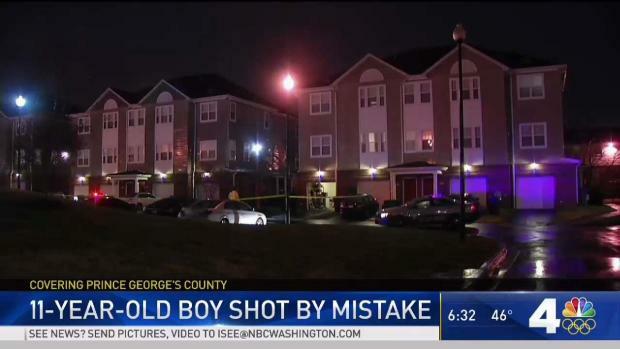 An 11-year-old boy who lives in Suitland, Maryland, is in critical condition after his neighbor accidentally shot him as the adult put away a gun. News4's Pat Collins reports. "They had a little chat, talked about the injury, talked about where to go from here," the father said. "My son and him are so close that my son cried, [the neighbor] cried. For me, the most important thing was getting the both of them together and working on their relationship." The friend "was traumatized," Mark Harry said. "He's actually taking therapy for what happened, because PTSD kicked in after all of this," he said. Mark Harry said he expects that Caleb will be released from the hospital next week. He is speaking and beginning to walk. Next, he will undergo physical therapy. A GoFundMe page set up for the Harry family aims to raise $50,000 to pay for Caleb's medical bills. More than $6,700 had been raised by Friday afternoon.